This week we got to be Uncles That Cook! We took a brief trip to Portland, Oregon to visit Ryan’s family, and while we love living in Southern California, with year-round warm weather and abundant sunshine, we also have a special place in our hearts for the Pacific Northwest. Ryan grew up there, and this beautiful city is truly a magical place. The people are friendly, the air is crisp and clean, and the landscape is lush and verdant green from the seasonal rains. Our two amazing nieces, Stella (10) and Lucia (8) live there and we like to see them as often as we can. This visit, they requested to make a dinner with us, so they browsed through our Index and their eyes lit up when they saw pasta puttanesca, one of the first entrees we posted here, and still an all-time favorite. So together we made a list of fresh ingredients, had a productive expedition to the local grocery store, and spent a lovely evening cooking this zesty and garlicky spaghetti. There is nothing more meaningful than preparing and sharing a meal with family, especially with kids, and we feel so fortunate to spend time with these two smart, sweet, and funny girls! And even though we have been delightedly living off this delicious pasta these past few rainy days, you can never have too much garlic. 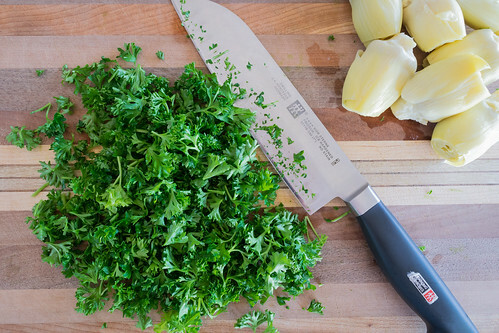 It adds depth to a variety of recipes, and is a pleasure to cook with as its inviting aroma fills the kitchen with a powerful and comforting fragrance. 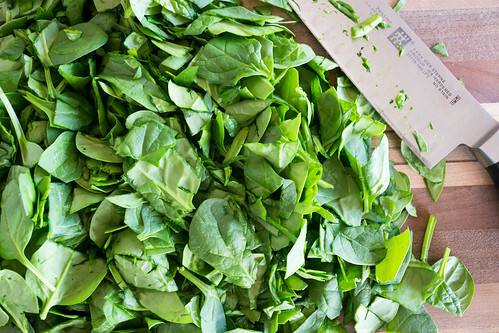 The recipe we are sharing today calls for plenty of this remarkable herb. 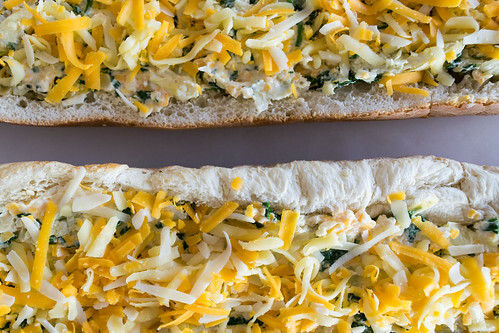 Filled with eight cloves of chopped garlic, tangy artichoke hearts, an entire bag of fresh spinach, and three kinds of cheeses, this garlic bread is a perfect side to any dinner, and the showstopper at your next party. 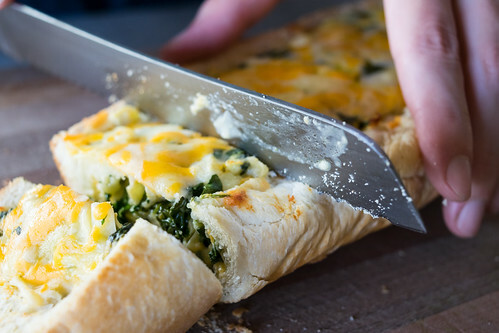 We adapted this glorious creation from our longtime dear friend Patti, who kindly shared the recipe that has been blowing people’s minds for years with its rich, cheesy and garlicky goodness. Whenever her masterpiece makes an appearance at any event, it’s not only the first thing to disappear but she has created a reputation for herself and now everyone expects it every time. But that’s the prize for holding this legendary title: with great recipes comes great responsibility. The assortment of cheeses each bring their own delicious flavor. The cheddar is sharp and tangy, the Monterey Jack is smooth and creamy, and the aged Parmesan adds a salty and savory kick. 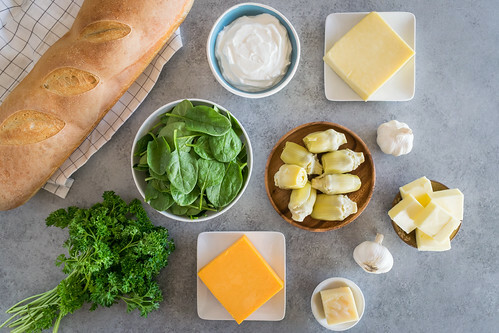 Using an entire can of tender artichoke hearts, mixed with a bounty of spinach and handfuls of parsley, these fresh ingredients decorate this extraordinary garlic bread with their bright flavor and deep-green color. This addictive appetizer is dangerously easy to make and bakes in just 30 minutes. Starting with the crustiest loaf of French bread you can find, it is sliced in half with the soft insides removed, leaving behind two large bread boats waiting to be filled with the luscious garlic-infused artichoke-spinach mixture that has been gently tossed with melted butter and smooth greek yogurt. 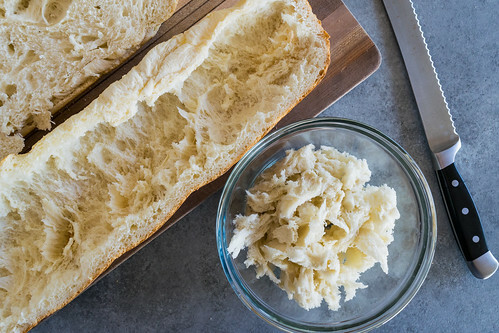 Using a sourdough bread can overwhelm the flavor, so it’s best to use a plain loaf allowing this acclaimed filling to shine. 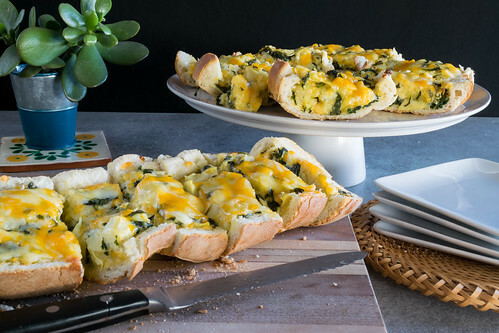 It’s the beginning of artichoke season, but this magnificent garlic bread uses canned hearts, which are always available and easy to use so this most-memorable, crispy, cheesy, and garlicky treat can be prepared any day of the year! Preheat oven to 350°F. Line a baking sheet with parchment paper, and set aside. Cut the loaf of bread in half horizontally lengthwise. Leaving the crusts intact, hollow out the bread halves by scooping out the insides and tearing the pieces into a small bowl. Place the bread boats hollow-side up on the prepared baking sheet, and set aside. In a large skillet, melt the butter over medium-high heat. 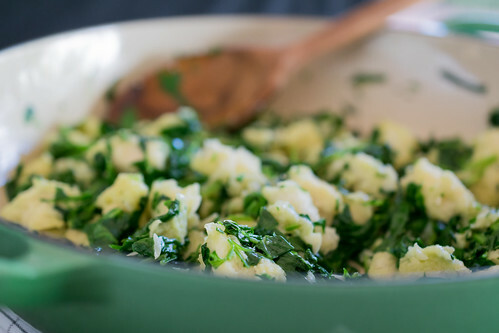 When melted and hot, add the garlic, spinach, and parsley, stir to combine, and cook for 1 to 2 minutes, until the spinach wilts. Add the crumbled bread pieces, toss to combine evenly, and remove from heat. 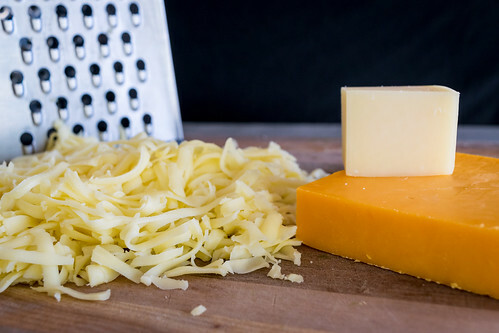 In a large bowl, combine the grated parmesan, monterey jack, and cheddar cheeses until evenly mixed. Remove one cup of cheese mixture and set aside for topping later. To the remaining cheese in the bowl, add the greek yogurt and stir until blended. 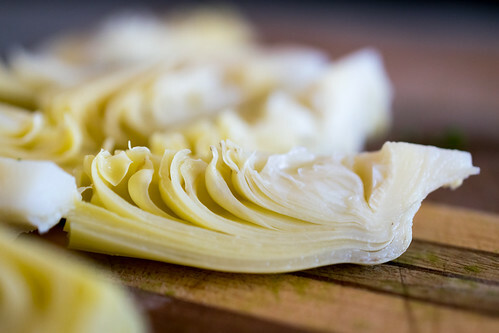 Add the artichoke hearts and stir gently to combine. Add the spinach-bread mixture and stir until evenly mixed. 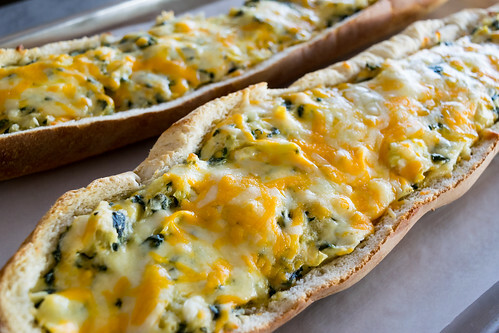 Spoon the artichoke cheese mixture into the prepared bread shells, spreading it to fill the hollowed-out loaves evenly. 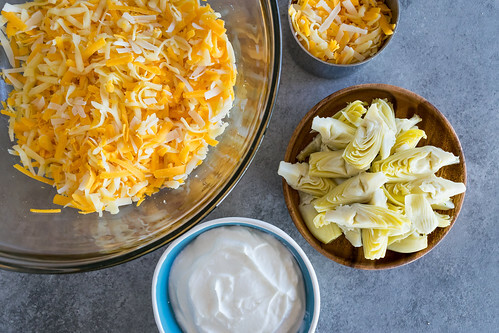 Sprinkle the reserved cup of cheese mixture over the top of the artichoke mixture. Bake for about 30 minutes, until the cheese melts and the bread is crisp. Serve warm, and enjoy! Can’t wait to make this! Looks amazing! Thanks so much Dale! 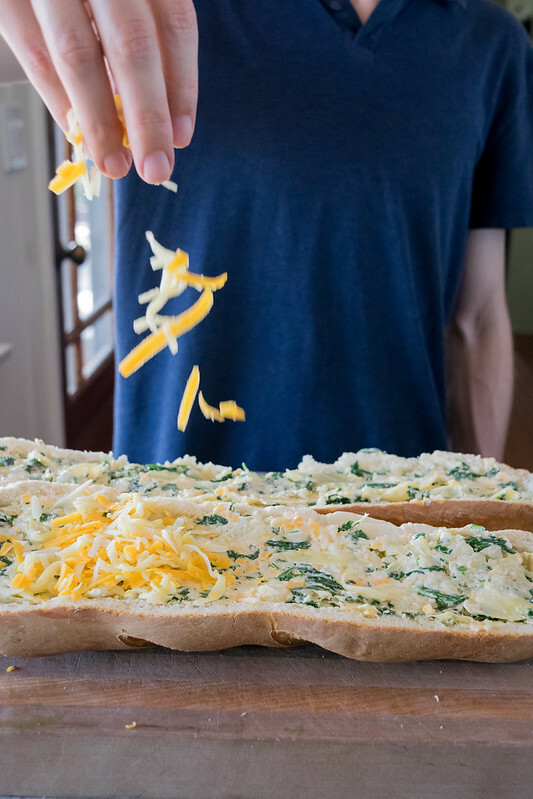 We have been enjoying this garlic cheese bread for years, and we’re so excited to finally share it with everyone!